Hidden in the dusty plains of north Texas Dallas comes Supernal Endgame, an American progressive rock band of unparalleled and impressive creativity. Their debut, Touch the Sky, is one of those magical and entertaining works that you wish you could discover on a regular basis. Nearly 30 years in the making, Touch the Sky reminds of great 70's prog with Ambrosia melding with Kansas, and accented, here and there, with anything from Weather Report to Dream Theater to early Genesis. Blending their diverse technical skills with an abundance strong melodies and compositional hooks, Supernal Endgame steers the listener through arrangements as smooth as a gentle stream (Psalm 51) or as breathtaking and expansive as a rushing waterfall (Everlasting Fanfare). But Touch the Sky is packed with even more as Supernal Endgame uses keyboard elements to create a symphonic, nearly ambient atmosphere throughout. The band is helped along the way by two prog heavyweights Roine Stolt of The Flower Kings and Rand George from Ajalon and Neal Morse. Clearly, however, Supernal could stand alone on their own talented merits as the dynamic and gorgeous arrangements of Fall to My Knees, Expressions, and At Play in the Fields prove. Finally, and to their infinite credit, Supernal Endgame exposes their Christian faith and spirituality in a most remarkable way: using their God-given talents in musical creativity that recognizes and honors the Author of those gifts, and producing an album of entertaining brilliance. Highly recommended. 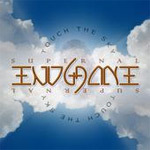 Decades in the making, Supernal Endgame's Touch the Sky is epic progressive rock, reminiscent of great 70's prog, with ambitious arrangements filled with generous melody and powerful hooks. Great stuff!